After more than 20 years of blistering UV rays, heat, tropical storms and major hurricanes, Sunrise Cove's FiberTite® roofs still shine. A stay at the Sunrise Cove Yacht & Racquet Club on Siesta Key in Sarasota, Florida must be a little like heaven. Sandwiched between the Gulf of Mexico and the Sarasota Bay, Sunrise Cove offers its guests and long-term residents views of the sunrise or sunset from their verandas. They also get easy access to world-famous white sandy beaches, warm tropical breezes, glimpses of pelicans nesting in nearby mangrove trees and dolphins playing in the waves. Two swimming pools, a gym, tennis courts and saunas are available on site for guests of this 155-suite paradise destination. Tropical beauty comes with tropical and sometimes turbulent weather. In 1988, Seaman Corporation seized an opportunity to safeguard this haven from the Florida storms. When a FiberTite technical representative for Seaman Corporation received word from his father, then employed by Sunrise Cove, that the board of directors wanted to replace the old built-up roofs on all four high-rise condominium buildings with spray foam systems, the tech rep scheduled a meeting to introduce them to FiberTite. The meeting was a success; the board selected four 36 mil FiberTite Roofing Systems to protect the buildings. 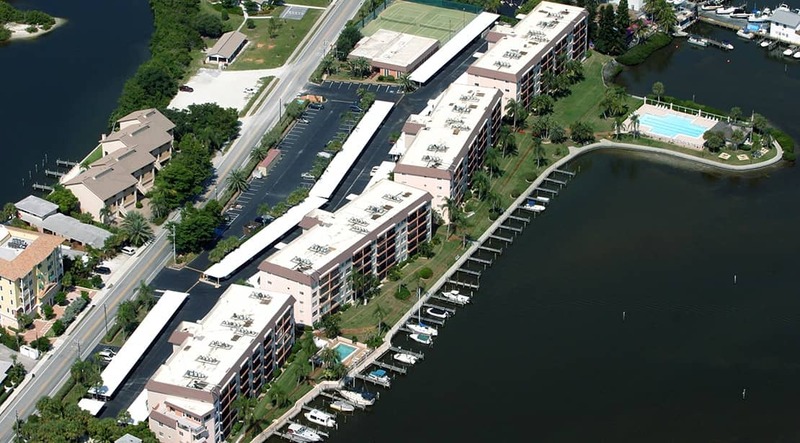 Twelve years later, pleased with FiberTite's performance, the board turned to Seaman Corporation again to replace the built-up roof on the clubhouse at Sunrise Cove. Today, more than 20 years after the first roofs were installed, FiberTite continues to outperform the Florida storms. "Sunrise Cove is located straight across the street from Turtle Beach," said Tracy Buis, of Sutter Roofing, the contractor now in charge of maintaining the roofs at Sunrise Cove. "There is a wind channel there and the roofs are wide open to the winds when they come. But even after being tested by the record-breaking hurricanes in 2004 and 2005, they've held up great. We didn't have to do any repairs after those storms." More than 20 years of blistering UV rays, potent heat and humidity, torrential rains, tropical storms and the occasional major hurricane prove to be no match for FiberTite. Introduced in Florida back in 1979, original 36 mil FiberTite roofing systems installed on rooftops across the U.S. are still performing.